In a curious corner of the Art Institute, beyond the lions and the ticket booth; through the first gallery on your left (filled, currently, with John Marinâ€™s watercolors); past a large glass door; and adjoining a nondescript long white hallway, lies a room full of natural light and very busy people. Dedicated to public inquiry, the Goldman Study Center in the department of Prints & Drawings is one of this cityâ€™s quiet treasures. 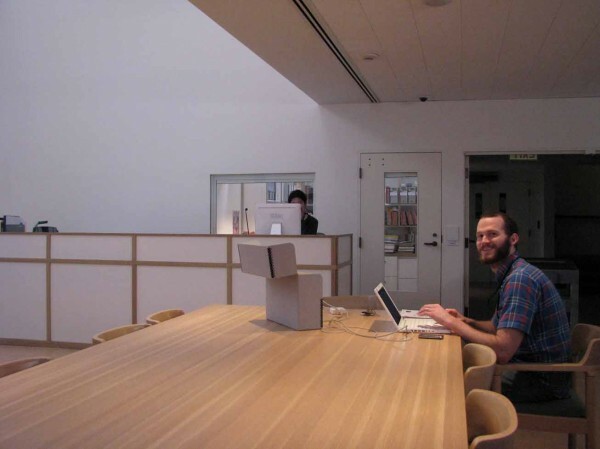 Open to the public by appointment only (available to classes in the mornings and to individual researchers in the afternoons), since the 1940s the department has made available over 80,000 works on paper that are part of the Art Instituteâ€™s collection. 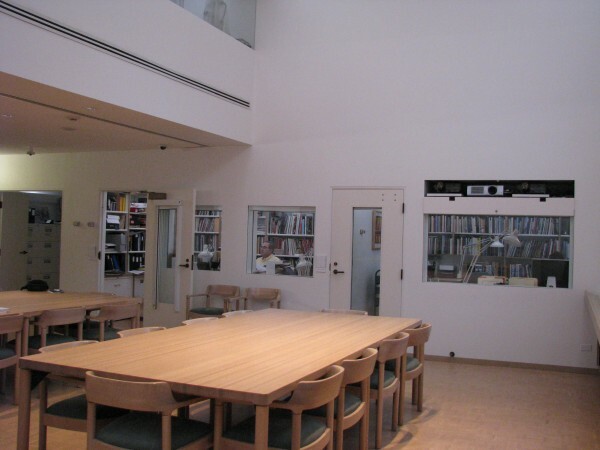 Staffed by hard-working curators, collection managers, researchers, administrators, and interns (as well as its own paper conservation department), the study center serves as a visual library; it offers the rare opportunity to examine a small selection of major works of art in person, without the distancing of glass or display. 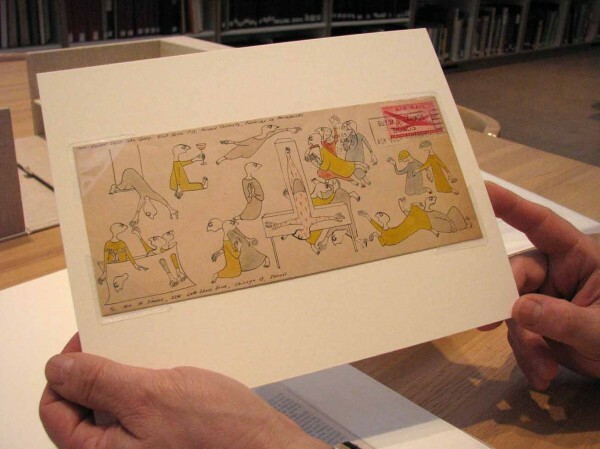 However, one of the most invaluable treasures in Prints & Drawings is not actually on paper. It is, in fact, embodied in a living, breathing, wise-cracking person: a curator, Mark Pascale, who is celebrating his 30th year with the Art Institute. I first knocked on Markâ€™s door over two years ago, armed with the brazen assumption that he would meet with me based on a shared love of comic art and his connection to Ohio (he went to graduate school at Ohio State University). Since then, Mark has proved to be an encyclopedically resourceful, tirelessly supportive, always kind mentor and friend. 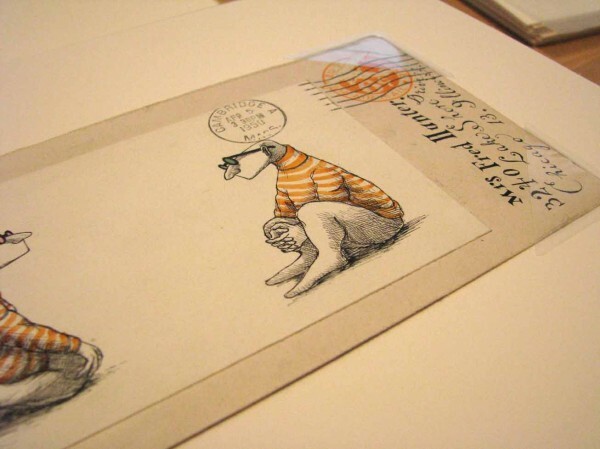 While visiting the study room last week, we looked at one of my favorite recent departmental acquisitions, a bequest from the estate of Sylvia Sights: a small collection of envelopes and ephemera illustrated by Edward Gorey (who was born in Chicago in 1925). Sylvia Sights and Gorey were childhood friends and Lakeview neighbors. 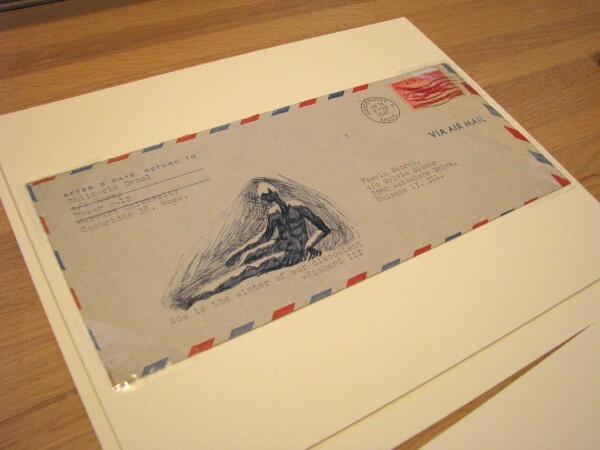 Gorey attended SAIC for one semester in 1943, and after he left Chicago he wrote to Sights frequently. Many of the envelopes are from his time at Harvard (1946-50), and were often sent under fantastic pseudonyms like â€œChilderic Droolâ€ and addressed to â€œFascia Scorch.â€ You can see more photographs of the collection in an album here. â€œBeing involved in the Jasper Johns: Gray show [in 2007] was a career changing moment for me. 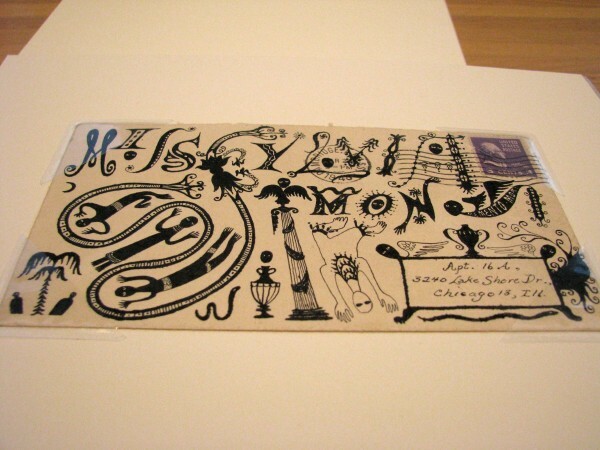 He was an artist that I had admired, as an artist, and I especially had admired his printmaking. It was hugely inspirational and instructive to me. It was a frightening prospect because heâ€™s very judgmental, and he is not known for his generosity. But I was asked to join the team and I did. [â€¦] That experience, working with James [Rondeau] and Douglas [Druick], Harriet Stratis, Christine Conniff-Oâ€™Shea, and Maureen Pskowski, having a cross-departmental experience was fantastic. The other show that Iâ€™ve done that Iâ€™m extremely proud of is the one that was called After the Crash: Picturing the U.S. 1930-1943, which I did [in 2000] in conjunction with a curatorial assistant in photography and the special collections librarian in Ryerson. We incorporated prints, photographs, and texts from the Depression, [about] the Depression. The other big show Mark has been working on for the last few years, scheduled for 2013, is a Martin Puryear retrospective, focusing on Puryearâ€™s printmaking processes.Â Although much of Puryearâ€™s early work was destroyed in a fire, Mark has been able to find a number of working and state proofs for his more recent editions. The exhibit will highlight Puryearâ€™s etchings from Paulson Bott Press (Berkeley, CA), and a major work from Arion Press (San Francisco, CA): illustrations for Cane, a 1923 novel by Harlem Renaissance writer Jean Toomer. Above and beyond his knowledge of modern and contemporary art, Mark also knows a thing or two about good food in the city. At the end of our conversation, Mark humored me with a list of a few of his favorite places to eat out.